In The Book of the Courtier (1528), Baldesar Castiglione, a diplomat and Papal Nuncio to Rome, sets out to define the essential virtues for those at Court. In a lively series of imaginary conversations between the real-life courtiers to the Duke of Urbino, his speakers discuss qualities of noble behaviour – chiefly discretion, decorum, nonchalance and gracefulness – as well as wider questions such as the duties of a good government and the true nature of love. Castiglione’s narrative power and psychological perception make this guide both an entertaining comedy of manners and a revealing window onto the ideals and preoccupations of the Italian Renaissance at the moment of its greatest splendour. George Bull’s elegant translation captures the variety of tone in Castiglione’s speakers, from comic interjections to elevated rhetoric. This edition includes an introduction examining Castiglione’s career in the courts of Urbino and Mantua, a list of the historical characters he portrays and further reading. 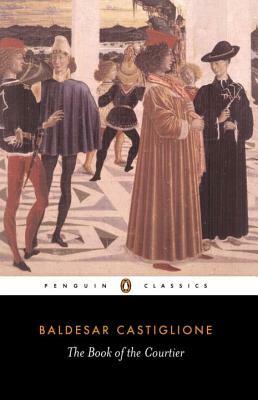 Baldesar Castiglione was born in 1478, a member of an ancient Italian aristocratic family. He received a thorough humanistic education, acquiring a refined appreciation of art. He was essentially a courtier, and his literary activities were spare-time occupations. In 1504, after an unhappy period in Mantuan employ, he entered the service of Guidobaldo of Montefeltro, Duke of Urbino. The ensuing years were the most satisfying of his life. He enjoyed the confidence of the Duke, who frequently entrusted him with important missions, and in his leisure moments he participated in the literary and intellectual activities of the court, then one of the most brilliant in Italy. After Guidobaldo's death in 1508, he remained in the service of the new Duke, Francesco Maria della Rovere, becoming, in 1513, resident ambassador in Rome. In 1515 the expulsion of Francesco Maria from Urbino deprived him of a job, and in the years 1516-19 he lived quietly on his estates near Mantua. His major work is The Book of the Courtier. He also wrote a small number of excellent poems both in Latin and Italian. In 1519 he returned to Rome, as Mantuan ambassador, and after further activities on behalf of his Mantuan masters entered Papal service in 1524. From that date until his death in 1592 he was Papal Nuncio in Spain. George Bull is an author and journalist who has translated six volumes for the Penguin Classics: Benvenuto Cellini’s Autobiography, The Book of the Courtier by Castiglione, Vasari’s Lives of the Artists (two volumes), The Prince by Machiavelli and Pietro Aretino’s Selected Letters. He is also Consultant Editor to the Penguin Business Series. After reading history at Brasenose College, Oxford, George Bull worked for the Financial Times, McGraw-Hill World News, and for the Director magazine, of which he was Editor-in-Chief until 1984. His other books include Vatican Politics; Bid for Power (with Anthony Vice), a history of take-over bids; Renaissance Italy, a book for children; Venice: The Most Triumphant City; and Inside the Vatican.